When it comes to watching videos on the Internet, YouTube is where everyone seems to go. In a given month, YouTube had over 180 million unique people view videos. Now that’s something to put on your product manager resume! YouTube’s biggest competitor for watching videos online is Facebook. In the same month, Facebook had 81 million unique people view videos. Facebook has decided that it wants to take over more of the online video market and so YouTube now finds itself facing a worthy competitor. Studies have shown that users tend to spend 50 minutes a day on Facebook while only spending 18 minutes a day on YouTube. Just to make things even more complicated there are other significant firms out there that would like to own a larger slice of the online video market. These firms include Snapchat and Twitter. Snapchat has licensed rights to the Olympics and Twitter has licensed rights to National Football League (NFL) videos. At the same time let us not forget Netflix and Amazon’s Prime service which continue to attract more and more subscribers. If people get their online video fix here, then there will be no need for them to visit YouTube. Over at YouTube the product managers have their own dreams. What they have said that they want to do is to go head-to-head with what they see as being their biggest competitor – broadcast television. What they would like to do would be to find a way to turn those viewers into viewers of online content. However, in order to do this, YouTube is going to have to find a way to generate more money. The ads that they are currently running prior to showing a video get skipped more often than they get viewed. Clearly the YouTube product managers have some challenges ahead of them. In order to be successful in the future, the YouTube product managers have to have a vision of the future that they are trying to create. What they have said is that what they would like to do is to reinvent television. Change it from the way that we interact with it today. They want the television of tomorrow that we watch to be on demand, to be on any platform that we want to watch it on, and to be mobile. Television will grow to become global in nature and in order to allow this to happen, it’s going to have to offer a very diverse collection of content. One of the reasons that YouTube is struggling to turn a profit is that at this point in time there are not a lot of firms that are willing to pay to advertise on YouTube. In comparison to advertisers, users can easily and quickly change their mind about where they want to watch videos and there really is no cost associated with them making a change in their viewing habits. However, advertisers can’t make changes that quickly. Instead, what they need to do to start out slowly and perform a test in order to see if advertising on a new view outlet is going to be worth the time and expense. What they are going to be looking for is to make sure that there are users there to see their ads. The YouTube product managers believe that over time advertisers will discover that YouTube is a great place to advertise. When the YouTube product managers take a look at their competition, they need to understand just exactly what customer need each of them is trying to fill. At one point in time the YouTube product managers had thought that what their users wanted to see was the traditional professionally produced high-quality videos that the companies who make such things produced. However, as they took a closer look at their market and started to understand what their customers were really watching, they realized that this understanding was incorrect. What their customers really wanted to see was all types of content: professional and videos that show regular people. What this means is that the human side of YouTube content is what is going to keep people coming back for more. Being a product manager at YouTube has got to be a great job. The service has an enormous customer base and millions of people visit the site every month. The one challenge that their product manager job description says that they have to solve is that right now the site is making very little money. YouTube product managers need to find ways to generate more income for their product. 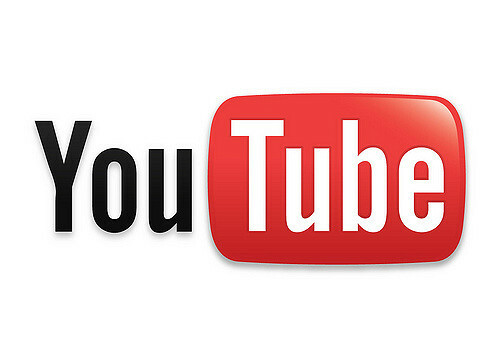 YouTube is not alone in offering online videos to customers. The biggest competitor that they are currently facing is Facebook which is in the process of growing it’s online video service. They also have to worry about the Netflix, Hulu, and Amazon Prime’s of the world. What the YouTube product managers would really like to do is to be able to go toe-to-toe with broadcast television in order to win their billions of viewers. The YouTube product managers want the television of tomorrow to be on demand and mobile. However, first they are going to have to find a way to convince advertisers that there are viewers who visit their site and will be willing to watch their ads. One strong thing that YouTube has going for it is that it has a lot of content that shows regular people doing things and this seems to be what people are looking for. The YouTube product managers find themselves in a unique position. They have a very large audience who likes their product. Now they need to solve the challenge of exactly how to turn this audience into a revenue generating machine. Due to the quality of their content, it appears as though they have some time in which to figure out how best to make this happen. They simply have to make sure that they don’t chase their customers away. Give them time and I believe that the YouTube product managers will be successful. Question For You: Do you think that the YouTube product managers should show their ads before videos start or while videos are playing? So, as a man I generally have very little interaction with women’s bras on a daily basis. However, if I was a product manager over at Victoria’s Secret, bras would make up a big part of my day. The reason for this is because the sales of bras makes up roughly 35% of their total sales. There is a big change happening in the world of bras and if these product managers don’t react to it quickly by making changes to their product development definition, then they may find themselves with way too much time on their hands. Can TV Product Managers Win The Fight Against The Internet?